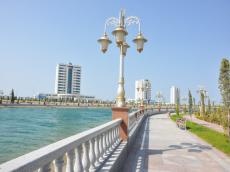 The International Exhibition of Innovative Technologies of Caspian States will be held in the Turkmen tourist resort of Awaza on August 12-13, Trend reports referring to the organizer of the event – the Chamber of Commerce and Industry of Turkmenistan. The event, dedicated to the Day of the Caspian Sea celebrated on August 12, will be held with the assistance of the Ministry of Foreign Affairs of Turkmenistan. Turkmenistan is preparing to hold the 1st Caspian Economic Forum in 2019. The Convention on the Legal Status of the Caspian Sea was signed on August 12, 2018 in Aktau (Kazakhstan).